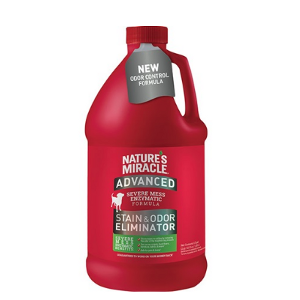 Nature's Miracle Advanced Stain and Odor Eliminator for dogs works to discourage re-soiling by removing the odor of dog messes. 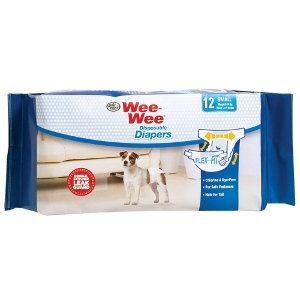 Wee-Wee® Disposable Diapers are a comfortable and highly absorbent solution when used for incontinence, untrained puppies, females in season, or dogs with excitable urination. Designed with fit in mind, our Fur-safe Flex-Fit stretch waste band and convenient tail opening allows for a proper fit on a variety of dogs. Chlorine and dye-free . Available in 4 adjustable sizes. 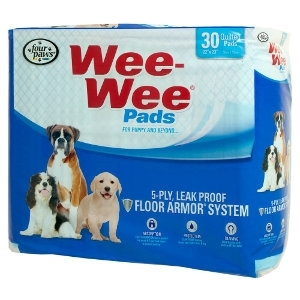 Wee-Wee® Pads in Gigantic size are 140% larger and more absorbent than the average housebreaking pad. 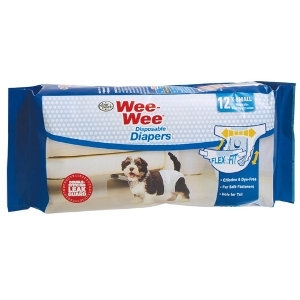 Perfect for BIG dogs and multi-dog households! 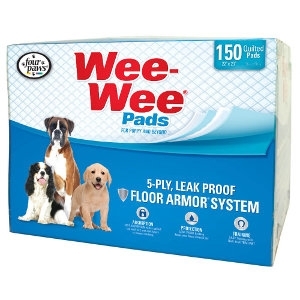 Made with a 5-ply leak proof Floor Armor® System, the special quilted top locks in moisture while the leak proof liner protects floors and carpets. 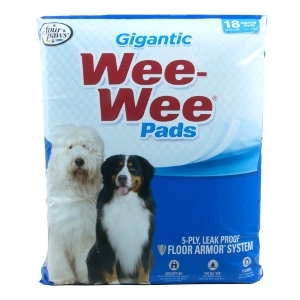 Treated to attract dogs to the pad when nature calls, Gigantic Wee-Wee® Pads measure 27.5” x 44” and come in 2 package sizes.